(Ventura, Ca) Judge Michele Castillo and Bernie Luskin have now become the newest members of the Santa Barbara & Ventura Colleges of Law (COL) Board of Trustees as they were elected unanimously this fall to serve as fiduciaries for the region’s oldest and largest independent law school. 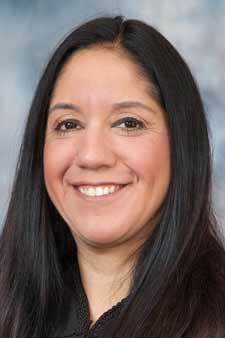 Castillo was appointed to the bench of the Superior Court of Ventura County by Gov. Jerry Brown in June 2016. Previously, she served as a Superior Court commissioner, a deputy public defender, and a criminal defense attorney. She is a graduate of Thomas Jefferson School of Law where she earned distinction as an Outstanding Woman Law Graduate from the National Association of Women Lawyers, SBA president of the year by the American Bar Association, and was nationally featured in The Hispanic Outlook in Higher Education, The Student Lawyer, and the National Jurist. 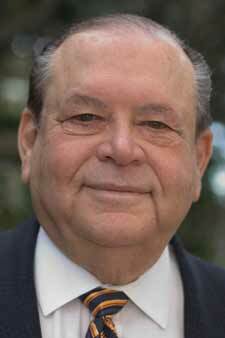 Joining Castillo on the 13-member board is Bernie Luskin. Luskin, a five-decade veteran of higher education administration, most recently the chancellor of the Ventura County Community College District. Luskin’s career includes serving as president of Coastline Community College, Orange Coast College, Philips Interactive Media, Jones International University, Touro University Worldwide, Moorpark College, and Oxnard College. Other leadership posts include serving as executive vice president and COO of the American Association of Community Colleges, and executive vice president at Fielding Graduate University. He is a graduate of Long Beach City College, where he later was inducted into its Distinguished Alumni Hall of Fame; CSU Los Angeles, CSU Long Beach, and UCLA where he earned a doctoral degree in higher education, psychology and technology. He currently teaches at CSU Channel Islands. “We are privileged to have not just one, but two prominent members of the community join our board,” said Matthew Nehmer, COL’s executive director. “Dr. Luskin is a recognized champion of higher learning who has already made contributions to the Colleges of Law through his boundless connections in the sector,” he said. “It is a privilege to join the board of the best law schools in Santa Barbara and Ventura counties,” said Luskin. “The Colleges of Law offer a quality pathway to wonderful careers serving the special needs of our greater Ventura and Santa Barba communities.